"There are many little ways to enlarge a child's world. Love of books is the best of all." DISCLAIMER - The Thelma Jones Elementary Symbaloo website is not sponsored by Mansfield ISD and Mansfield ISD is not responsible for the contents of any linked site, any link contained in a site, or any changes or updates to such sites. 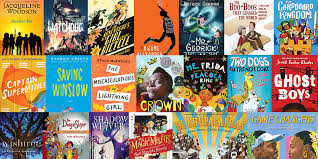 2019-2020 Texas Bluebonnet Award Reading List & Much More! 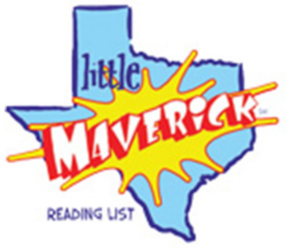 2019 Texas Little Maverick Graphic Novel Reading List and Much More! 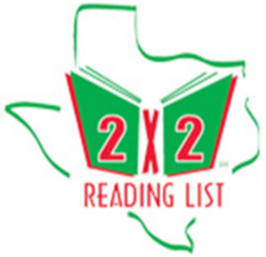 2019 Texas 2x2 Reading List and Much More! MISD librarians support the district mission to ensure education and personal success by providing curriculum support through partnerships that create innovative 21st Century learning opportunities. Librarians empower students to be effective and responsible users of ideas and information and enthusiastic readers. 1. All students and staff are effective and responsible users of ideas and information. 2. All students are enthusiastic and critical readers. Every class visits our library weekly for instruction and check-out. All students may have up to two books checked out at a time. As special circumstances arise, some students may be able to have up to three books checked out at a time. All books are checked out for one week, but may be renewed as needed. Our Open Check-Out Program allows 3rd and 4th grade students the flexibility to visit the library independently on a more frequent basis. Students may utilize open check-out during regular library hours with teacher’s permission. Please help to ensure your child is a good library citizen by encouraging him/her to take excellent care of our books and return them on time. Access to search for books in our Thelma Jones Library may be done by visiting Destiny Discover, which is linked on our Symbaloo above.